Having a beautiful baby brings with it a lot of joy – and costs. But the one thing you will want to purchase new is a baby crib. Not only does this mean you can find one that appeals to you, but it also means the crib will abide by the current certification standards for baby cribs. You will see below that there are many baby cribs to choose from. The main difference between baby cribs involves their portability and how long they can be used. Below you will also find some information on finding a baby crib. When I was looking for the best place to buy a crib, the information simply wasn’t available – so I decided to write my own reviews. I have listed the best affordable baby cribs money can buy. This is something you will likely be using for a while, so finding the right one is essential. You can compare the best baby cribs in the table below and read reviews of the top baby cribs for sale. In the world of baby cribs there are several labels thrown that more or less describe the same thing. To break it down, there are two major types of baby cribs – the best rated baby cribs are either portable or convertible. Obviously what makes either option suitable will depend on your own lifestyle. Portable cribs are a great option if you are traveling, but they can lack the versatility offered from convertible cribs. The label ‘convertible crib’ describes a wide range of cribs that can be converted from 3 to 7 different ways – as you can imagine this includes a lot of variation! All of the best convertible cribs share certain features. They can be transformed from an infant crib to a toddler bed and back again so that you can use the crib throughout your child’s early years. From newborn to toddler – convertible cribs are the option that will see you through. 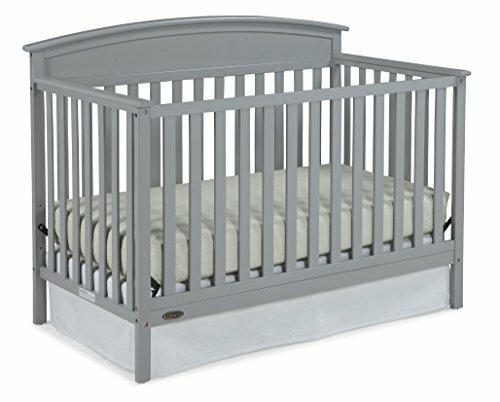 The reason so many convertible cribs are among the top rated cribs is because they are are so versatile. A portable baby crib that grows with your baby is definitely harder to find. Newborn babies require extra support and a portable crib is not the best long term sleeping option. However, they are the best cribs for babies on the move and work well when traveling. In many cases a portable crib is also a pack and play, which are affordable cribs for your baby to sleep and play. We have included one portable crib review below, but you can read more pack and play more read our reviews of pack and plays here. 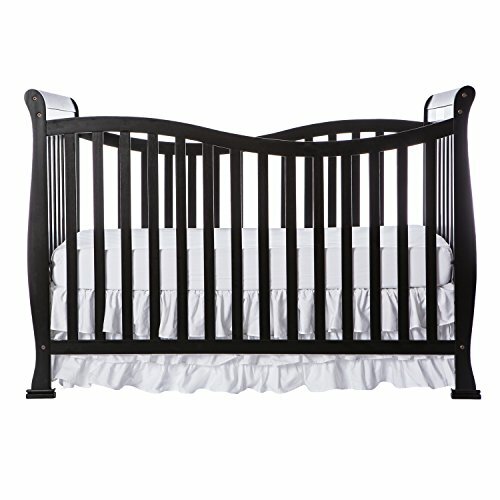 How Do I Know If the Crib is Certified in the US? It is super important that your crib meets the needs of US certification. Buying a crib online can mean importing it from another country and it is of most importance that you check to see if the crib is certified for use in the US. All of the cribs in our reviews below are certified for US. What makes the internet the best place to buy a crib is the range of reviews to compare cribs, and to ensure that your crib fits with the certification standards of your country. This means that you will find only the safest baby cribs. Another thing to note is that cribs with pull down sides are no longer deemed to be a safe baby crib, so any crib that offers this should ring alarm bells. The correct mattress is one of the most important steps towards buying a crib. Pretty much all cribs use a standard mattress size unless the crib is portable or advertised as larger/smaller. Some brands do include a mattress but even so it can be better to purchase your own. You can read crib mattress reviews here to find one. This depends entirely on the baby crib you purchase and the weight and height of your child. As every child grows at different rates there is no standard for when you should stop using a crib. 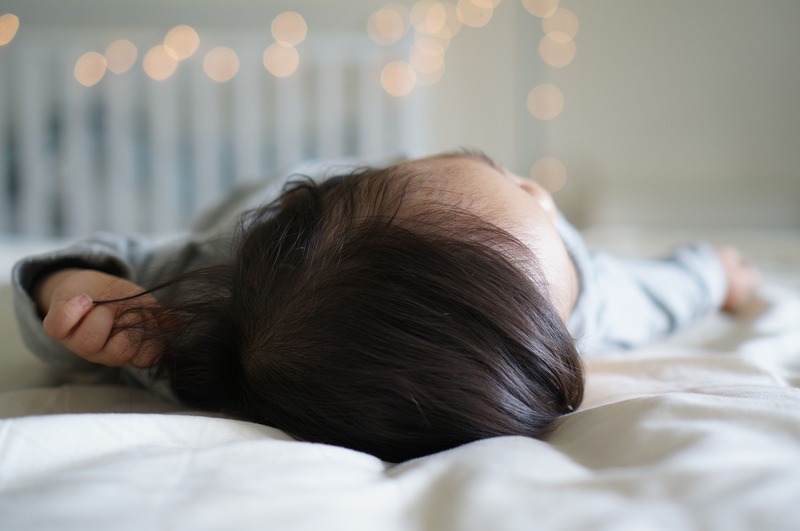 Having said this, most children will outgrow a baby crib at around 6 months old which is when they can be moved to a larger crib, or one without an adjustable mattress. The best baby convertible cribs can be used throughout their entire period. What Are the Best Baby Crib Brands? To ensure quality and reliable certification, it is always worth buying a baby crib from one of the best baby cribs brands. Some of the top crib brands are Graco, Delta and Dream On Me. These brands are US established and trusted to provide the best rated cribs for quality. They also generally have the best crib reviews. You can find affordable baby cribs from other brands, and all the cribs below are a reliable option. The first of our convertible crib reviews is the Delta Children 4-in-1 which is the best selling baby crib. The crib offers 4-1-in versatility which means that it can be converted from from a crib to a toddler bed and day bed. Cribs in this range are generally the longest lasting and you can be sure that you will be getting your moneys worth. The crib is constructed with non-toxic material and is fully certified. The construction is strong and the crib definitely feels secure. It is also constructed with real wood and is not simply a veneer which looks great and strong. The colors are all pretty standard but it does come in different shades of brown. Making the crib suitable for babies are box strings so that the mattress height can be adjusted, however you will need to purchase the mattress separately as it is not included. Although the crib is not difficult to assemble, the pieces are not interchangeable and you need to be careful where you place them. Overall the crib looks great and can definitely be trusted to be used for years to come. The side panels are high and the crib definitely looks great. Read more reviews and see the latest prices here. The next best convertible cribs 2017 offers is the Dream On Me Violet Convertible Crib. This crib obviously has more uses than most on the list – there are 7 ways to use the crib in total. So what makes this crib a 7-in-1 crib? In addition to being a crib, toddler bed and day bed, the crib can convert to a twin bed and full bed. The additional uses come from the 2 different set up options for both the twin and full bed. Understandably the crib is not lightweight – at 50 pounds this is one of the heavier cribs you can buy. However it is certainly one of the most adaptable and versatile, but is also far from the easiest to assemble. The mattress can be adjusted to 4 different positions to support a baby and to reduce the danger of climbing out. The quality is one of the best available and exceeds all required safety standards. 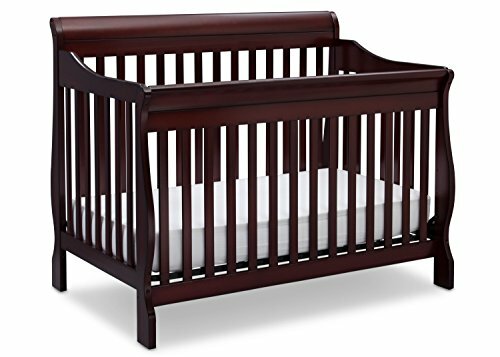 This crib looks simple and elegant and is one of the top rated baby cribs you will find. The best portable crib we can find is the Graco Travel Lite. Good quality portable baby cribs are harder to come across, but the popularity of this particular one begged a review. Smaller and lighter in weight than other portable cribs, this is the crib for traveling parents. It fits easily into smaller spaces which is a benefit when baby cribs tend to take up so much space – especially when traveling. The crib can be used throughout the stages of your babies life from newborn to toddler – the bassinet is included which has two height levels and can be removed as a place for both infants and toddlers to sleep. Also owing to its portability is a quilted mattress pad included canopy. The mattress pad is thin and not suitable for long term use, but definitely appropriate for travel. It’s also wipeable and easy to clean. At only 19 pounds it is easy to call around. Folding the crib with a the push of a button makes it one of the top baby cribs for storage. This is quality portable option and one of the most affordable baby cribs on the list. 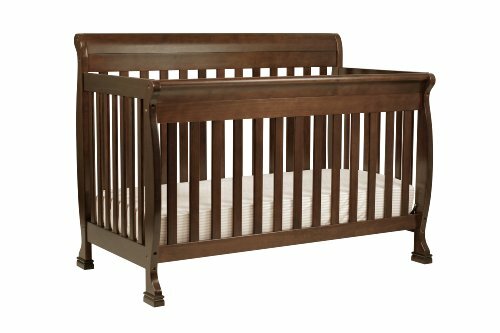 Graco is a respected brand among parents, and baby crib reviews of their Benton Convertible Crib have made it one of the top baby cribs. This convertible crib is a classic style – the range of options is not huge but it gets the job done. Fully certified and best suited for a newborn, the mattress can be adjusted to 3 different levels and the crib can be converted to a toddler bed, daybed and full sized bed. The crib style is great and adjusting the mattress height is very simple. Looks wise, the crib probably seems to be flimsier than it is – it is very sturdy, but in use the paint can chip which reduces its life a bit. There is also enough space underneath the crib to store goods. In addition to the above the crib is easier to put together than others and the directions are easy to follow. 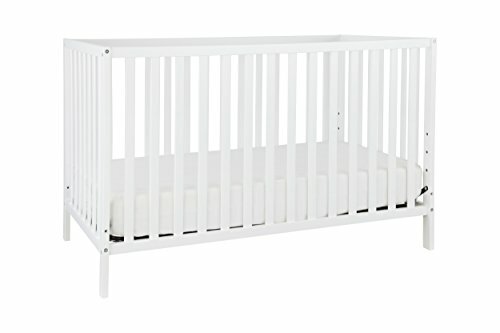 It is not the longest lasting crib but is good value nonetheless from a brand trusted for their safety, and one the top rated cribs 2017 offers for the price. 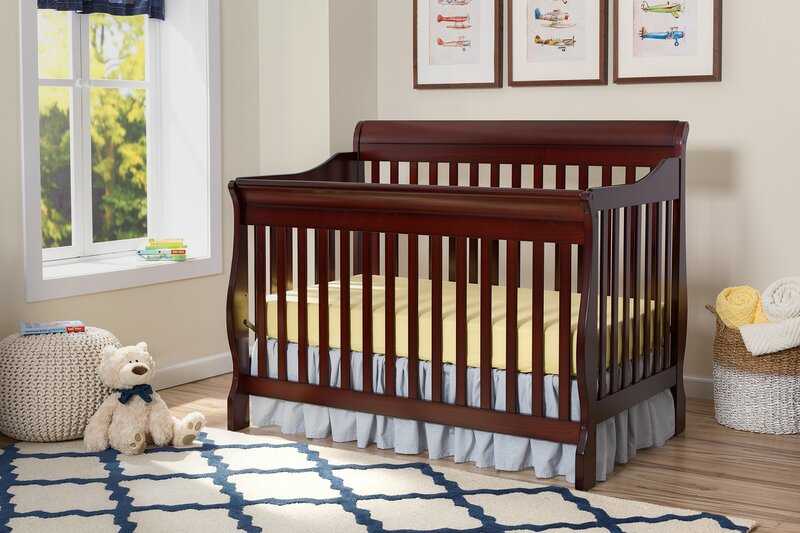 The DaVinci Kalani 4-in-1 Convertible Crib does offers as standard something that most convertible cribs require you to purchase separately – it includes the toddler rail so that you can convert the crib to either a full sized bed or day bed. bed day bed and full sized bed making this one of the best 4-in-1 cribs. There are a range of wood toned colors to suit any room and I love that the whole crib is non toxic. There is certainly a focus on environmentally products. The interior depth is around 27 to 28 inches, and includes 3 different mattress heights so that it can be adjusted for a newborn. The distance between the floor and the crib is fairly decent which should allow you to store things underneath the crib. Another great thing is that the standard size mean that the headboard and footboard can be attached to any standard bed frame size. Most of the complaints that have to do with this crib concern the difficulty putting it together. Yes, it is more difficult than some. But once assembled the final product is a standout for those looking for safe baby cribs. 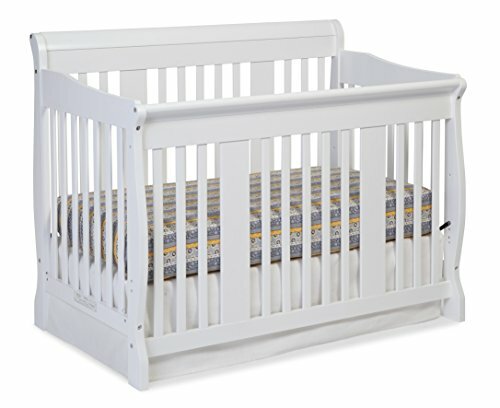 The Stork Craft Tuscany is a popular 4 in 1 convertible crib that can be used in 4 different ways. From a baby crib to a toddler bed, the crib is both solid and looks great. The base is made of wood and the mattress can be adjusted to two different levels. It can be converted to both a toddler and full sized bed with the right attachments which means it can be used for as long as you please! The rails to expand to a full sized bed are not included. There are 5 colors which are all pretty neutral but very nice – the quality is definitely apparent. But what really makes it so easy to put together is that all the parts are labelled correctly! It is a shame that this is difficult to find, but when things do work they stand out. Overall, assembly takes most parents about an hour. 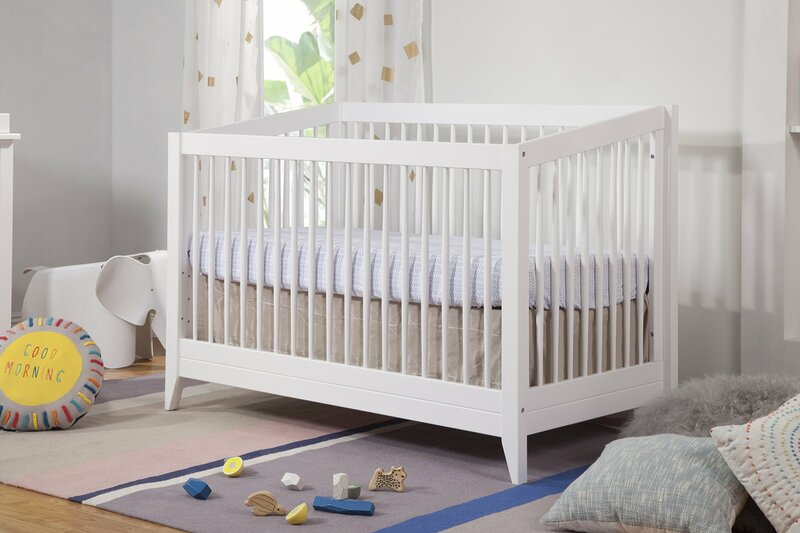 Although the crib does not include a mattress, the price is low for such and it is the best inexpensive crib we’ve seen. See the Stork Craft Convertible Crib here. Which baby crib is your favorite?